Clean your water with an oil water separator. All businesses that wash vehicles are required to separate the oil from the waste water they create before discharging it into the municipal sewer system. This is not only the legal thing to do, but the right thing to do. 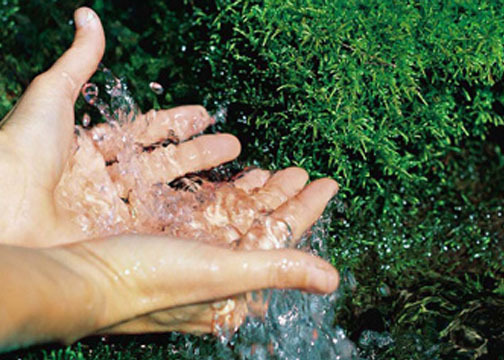 Water is a valuable resource and we need to do all we can to conserve it and keep it clean. Oil water separators work on the principal of water and oil not mixing and their property of natural separation. With this principal, an oil water separator enhances the separation. This is usually done with coalescing media that intercepts the oil droplets and cause them to move together and increase in size. The larger droplets then rise to the surface and are captured in a storage area. There are above ground systems and below ground systems. They should be as compact as possible, sized to the job. In most cases, they require no moving parts, power consumption, chemicals or cartridge use of any kind. When looking for an oil and water separator, it is necessary to know the water flow rates and the requirements of the particular municipality involved. Many times, it is wise to deal with a company that knows the local requirements and codes so that the system being installed meets those requirements. Depending on the type of machinery that is being cleaned, more equipment may be needed. For large vehicles covered with a lot of dirt and debris, a demucking unit may be your most effective way to clean. If you can not discharge the water to a sewer, a closed loop recycle system will be required. When getting into a business that will involve oily water that requires separation, it is best to look for a company that will be sure to outfit the business with equipment that meets the requirements of the municipality. If possible, look at a company’s case studies of some of its most challenging installations, and consider that when making a decision in the oil water separator that will be purchased or leased.